Saturday’s BT Cup tie between Gala and Hawick could be regarded as a dress rehearsal for the crucial relegation clash between the pair next month. 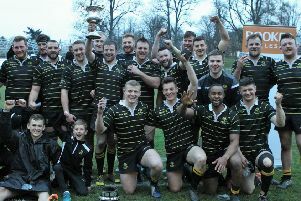 The sides, occupying the bottom two slots in the BT Premsiership table, face off on February 11 at Mansfield Park in the penultimate match of the campaign. However, each is determined – while showing each other respect – to put in a superior performance this weekend at Netherdale, after both were defeated last Saturday. The temporary respite from league tribulations may also help them build a fresh focus for the run-in. Speirs added Gala fancied a win if they could apply the same “physicality and intensity” they showed against Heriot’s, despite a 26-0 loss. Suspended Hawick skipper Bruce McNeil reckoned his clubmates would be keen to make amends for their “passive” and “lackadaisical” showing against Currie. “Gala is always a difficult game and we are fully aware of the challenges they will give us,” he added.